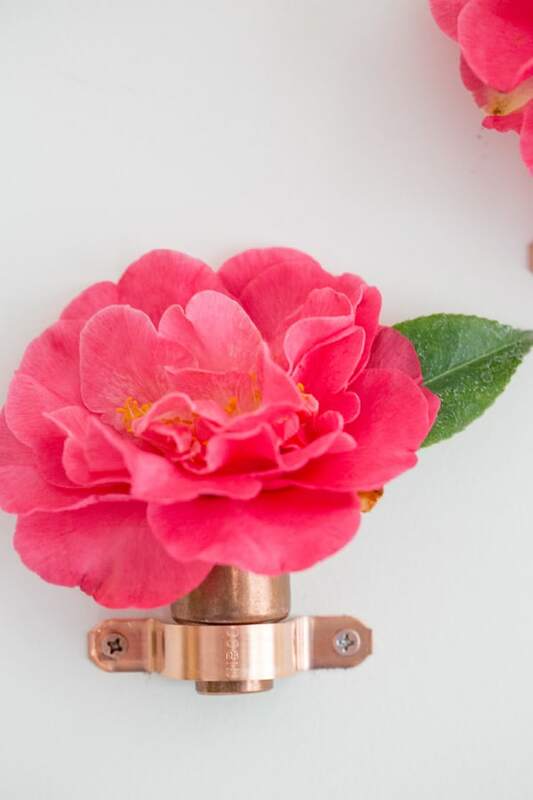 You know we love effortless DIY projects around here and these tiny and easy DIY copper bud vases make the cut on simplicity! They look totally chic and adorable and only take minutes to create! 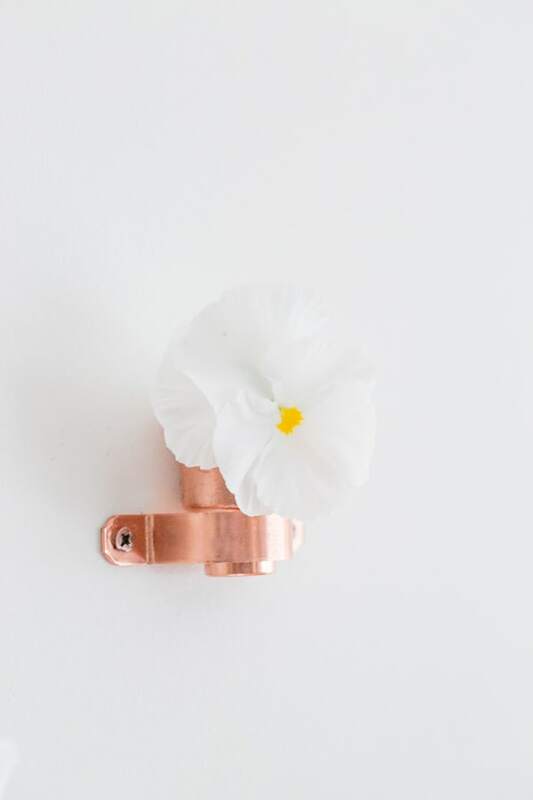 There are so many different areas in a house you can use them to decorate with… in the kitchen, bathroom, or bedside, they pretty much look cute anywhere as long as they’re filled with a beautiful fresh flower! 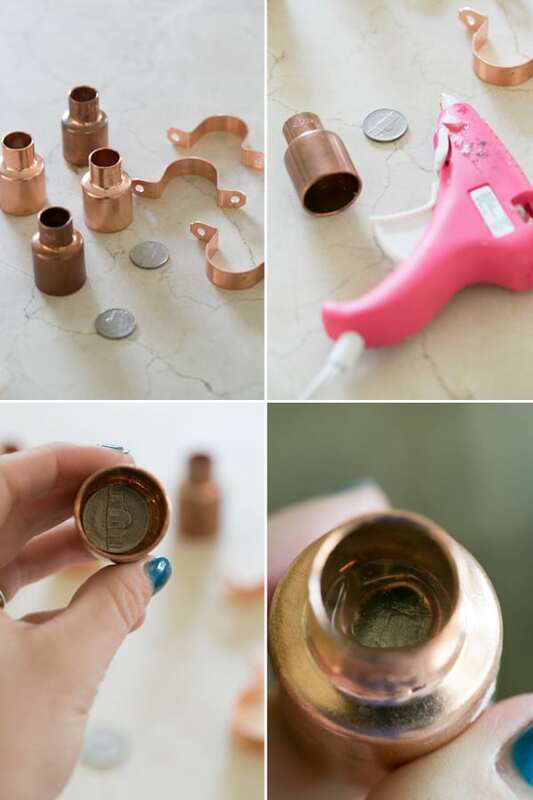 You need to cover the hole in the fitting reducer, so use a generous amount of hot glue along the edge inside, then place a penny or a nickel (fits better) and then seal from the bottom with hot glue. Once it’s dry you can test using water to see if there are any leaks. If there are, just use more hot glue to seal it. Super easy! If need be, spray paint the screws and let them dry. 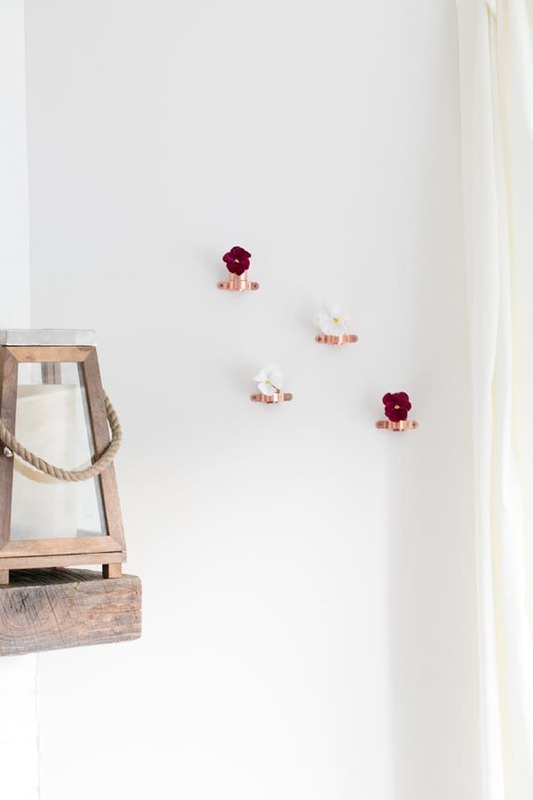 Drill the tube strap into the wall where you want it, then set the mini bud vase inside. Fill it with fresh blooms from your yard and enjoy! 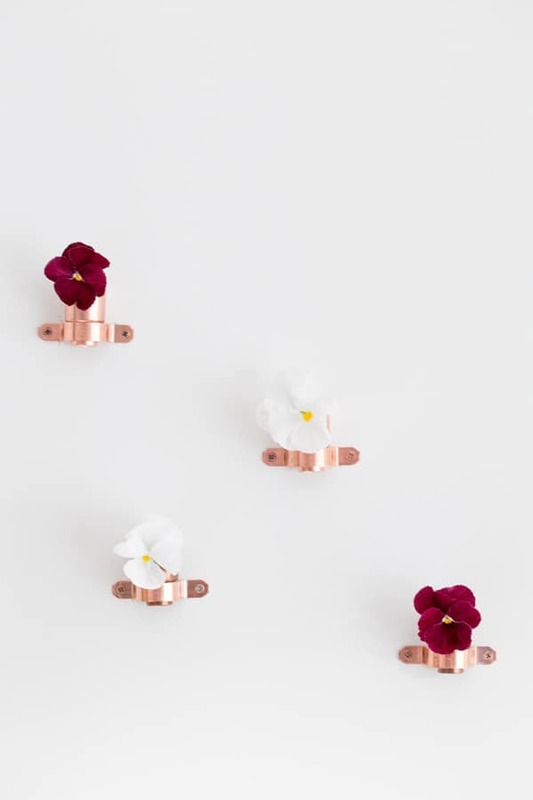 These are so pretty (and simple to make)! Love this idea! Oh my these are so pretty! 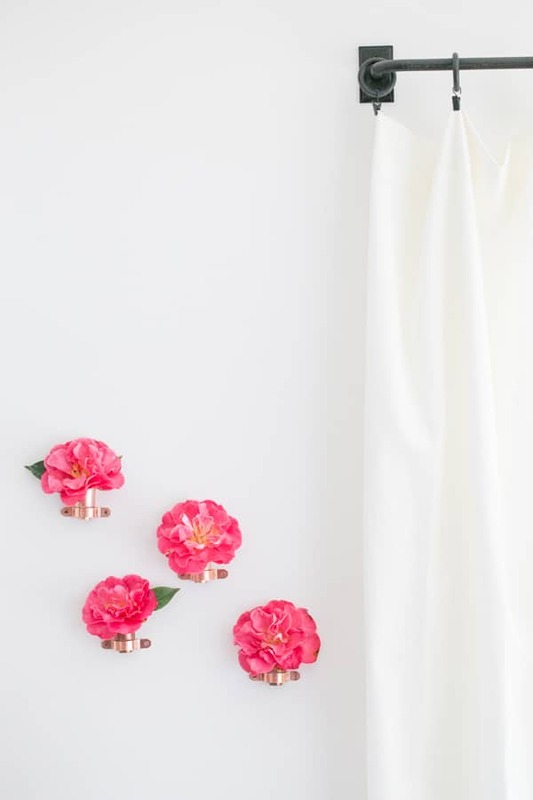 I think I know how I will be decorating my little bathroom with this Spring! This is so cute! I love the vases and the flowers; so pretty! Aren’t these just the cutest things! We love this idea, shared it on our favorite things list.